Ever get this well-meaning advice? I might have even given this well-meaning advice. But man, when life is all balls-up-in-the-air and someone says this to you, you know, it’s meaningless. I went to clown school when I was a kid. 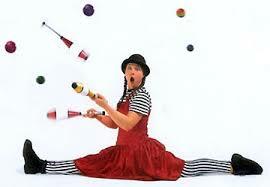 I actually can juggle – and do a little acro yoga … and make people laugh … but I digress. I guess I toss more balls in the air than the average person. In the last few years, I quit my job with benefits without another solid income stream lined up. I moved on to a sailboat with a guy I didn’t know that well. I sailed across the sea without really knowing how to sail. I moved off the sailboat in a town where I didn’t really know anyone. I started a yoga class on the beach and offered it by donation only, not knowing whether it would pay off. And on and on. You could call it a risky life, but it’s been amazingly rewarding. Big risks can result in big rewards – if you stop worrying and let the magic happen. * I wrote an article for a magazine that was published months ago but they never paid me. I sent many emails and left voice messages, and I was starting to wonder if I should be concerned. Then I called one more time, instantly got the publisher who apologized and said he would send payment immediately and wanted more stories. 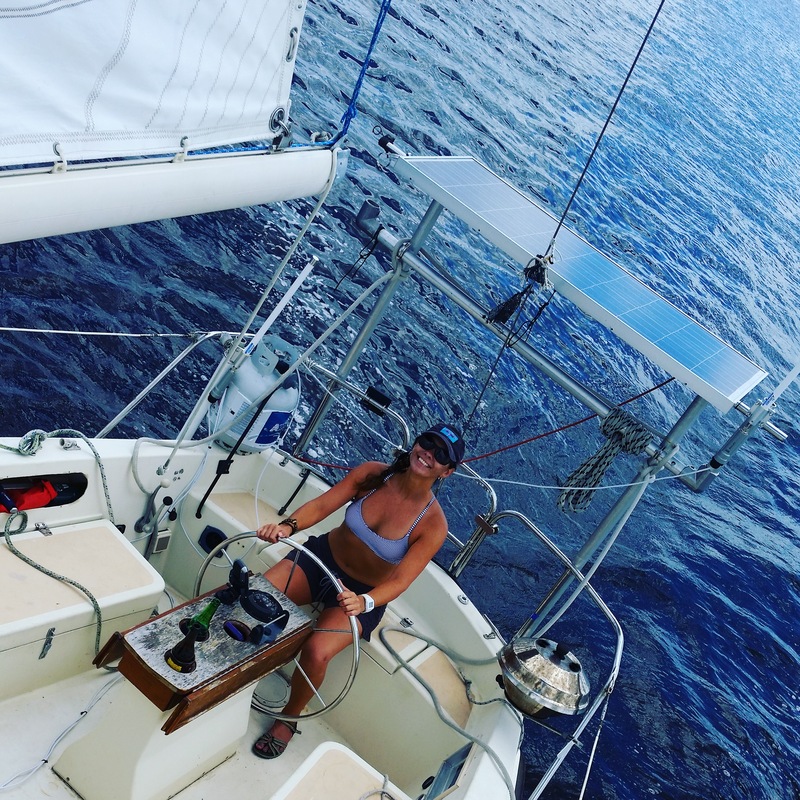 * I have an opportunity to go sailing, but I also had a lease on my little studio apartment that would have left me on the hook for thousands of dollars. Instead of fretting about it, I tapped into the connections and friendships I’ve made here on the island and soon found someone willing to take over the lease. the paperwork, passed a drug test, got a physical, got government clearance, got it notarized and everything. I sent it in the mail and spent weeks waiting. Just as I was starting to think that maybe I would be off island by the time it arrived to my General Delivery box at the Post Office, I receive an email saying my credential is on the way. Then, on the way to pick it up, I get a text from someone who needs a captain for a day sail from St. Thomas to St. John – the very next day! It was a great sail and a great reminder that these risks resulted in amazing new skills and opportunities I would have never acquired had I let fear get in the way. It seems things are working out exactly the way they’re supposed to. I may be dating myself here. OK, this actually predates me as well. I wouldn’t be able to get out of my lease. Worry that the license wouldn’t come in time. 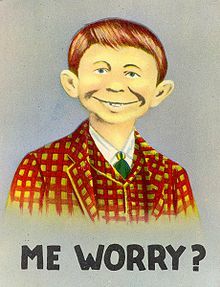 But what is worrying? It’s putting stressful energy into the spaces of our lives where confidence in the universe ought to be. The more we set ourselves up for success in life – for truly creating the things that we want to happen – the more these blessings come to us. But if we worry instead, we are pulling energy away from our highest self. It’s a version of “The Secret,” I know, and part of me thinks that’s a bunch of baloney, but it’s real. If we decide that life is difficult and it’s impossible to get what we truly deserve, then that’s exactly right. If we decide that life is good and blessings are coming to us, then that’s exactly right too. everything is happening exactly the way it should. But it is. The key to finding magic in your life is to look for it. Stop worrying that the magic is missing, but instead wonder excitedly when the next bit of magic will shine on you. I was at the beach recently during a meteor shower with a dear friend who I love. We were watching the skies, and there wasn’t a lot of action. It was a little chilly. He wasn’t wearing his glasses. Maybe we should just go, I thought. 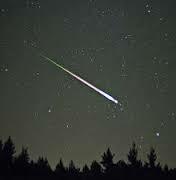 Then, suddenly, from over the water, a huge, bright falling star shot its way across the sky. It was the biggest and best meteor either of us had ever seen! It kept going and going over the beach, over the island. It lit up the sky so brightly, so magically, that it was breathtaking. Here I was worrying that I wouldn’t see one meteor and then I see the best one of my life. Had I succumbed to my worry, I would have missed the magic. So what magic are you looking for? What are you worrying about that you can let go? You know, the old “Let go, let God” simply means to trust in the divine timing and guidance of your life. Just for today, believe that everything is going to work out beautifully. And then watch it do so!